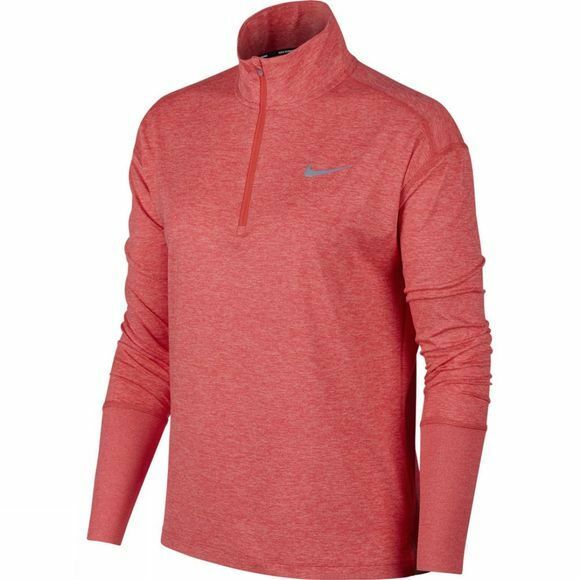 The Nike Women's Half-Zip Running Top is great for chilly runs. The fabric delivers sweat-wicking power, while the thoughtful design helps keep you comfortable during your run or afterwards. Dri-FIT Technology helps keep you dry by wicking sweat away from your skin to the fabric's surface, where it quickly evaporates. Layered over a tank or top, the standard fit follows your body while allowing for a little extra room. 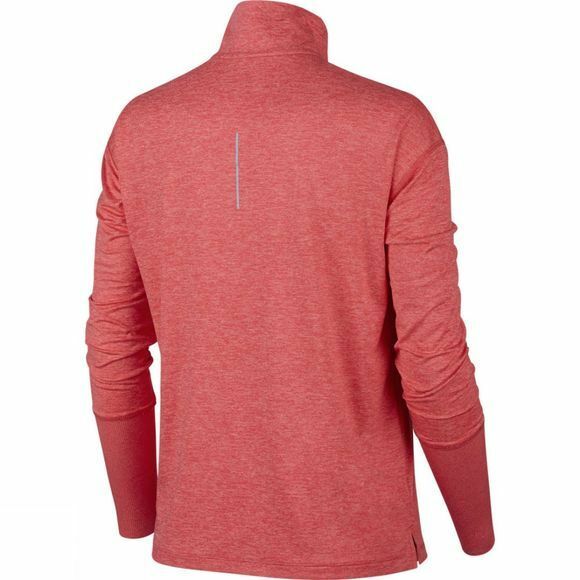 The ribbed cuffs with thumbholes stay in place for warmth while you run. The half-zip design lets you adjust your ventilation on the run, while keeping you warm and covered for your post-run plans. Body: 88% polyester/12% elastane. Rib: 89% polyester/11% elastane.